This examination is being given to fill one full-time vacancy in the Health Information Management Department at San Joaquin General Hospital and to establish an eligible list to fill future vacancies. Resumes will not be accepted in lieu of an application. A completed application must be postmarked or received online by the final filing deadline. The Medical Records Department is seeking an experienced Medical Inpatient Coder who would be interested in joining our awesome medical coding team at San Joaquin General Hospital. We are looking for a highly motivated medical coder to transform diagnoses, procedures, medical services and equipment used into universal medical alphanumeric codes utilizing ICD-10-CM/PCS codes. Shift: Day shift - Monday to Friday. Hours to be determined. Medical Coder - Certified position is a on-site position. Incumbent in this position must physically work on-site at San Joaquin General Hospital. Amended - 1/31/19: To identify only one vacancy opened not multiple vacancies. Completes detailed analysis of medical records for chart content and documentation requirements. Assigns diagnostic codes and abstracts patient medical record information according to the International Classification of Diseases 9th and 10th Edition Systems (ICD-9-CM, ICD-10) and Current Procedure Terminology (CPT-4) Manual and coding conventions and guidelines as established by state and federal reporting requirements. Completes abstracting functions of inpatient, outpatient, and emergency records. Enters coded medical records data on computer terminal; selects diagnosis and operations codes from computer encoder and designated abstracting system. Review medical records and verifies coding and Medicare Severity Diagnosis-Related Groups (MS-DRGs) assignments in response to billing requests. Responds to authorized request from agencies, administration and individuals regarding coding and DRG questions. Maintains a working knowledge of current guidelines and regulations affecting code assignments through continuing education sessions and approved references. Assists physicians with correspondence for legal and insurance information. Keep records and prepares reports and correspondence as required. May serve as a lead worker; may train staff. Experience: One year of experience in an acute-care hospital or health care facility with experience in medical coding or medical records. Experience as a medical coder of inpatient records in an acute care hospital setting is highly preferred. Certification: Possession of a current Certified Coding Specialist (CCS) certificate issued by the American Health Information Management Association or Certified Professional Coder (CPC) certificate issued by the American Academy of Professional Coders. Substitution: Current registration as a Registered Health Information Administrator (RHIA) or Registered Health Information Technician (RHIT) certificate may be substituted for the CCS or CPC certificate. Medical terminology, anatomy and physiology, and study of disease processes; current knowledge of abstracting medical records according to current ICD classification systems and CPT-4 coding guidelines; standards and regulations pertaining to the maintenance of patient medical records; medical records coding systems; health information systems for computer application to medical records. Review medical record information, correctly assign codes to diagnosis and procedures; utilize the ICD-9-CM or ICD-10 and CPT-4 coding guidelines to code medical record entries; abstract information from medical records in accordance with defined regulations; read medical record notes and reports; assign accurate Medicare Severity Diagnostic Related Groups; operate computers, office equipment and related software; make independent decisions in procedural matters; establish and maintain effective working relationships with other employees, physicians, and the general public; communicate effectively, both orally and in writing. Mobility-Frequent operation of a data entry device, repetitive motion, sitting and standing for long periods, walking; occasional pushing, pulling, bending, stooping, squatting, climbing; Lifting-Frequently 5 pounds or less; occasionally 5 to 30 pounds; Visual-Constant good overall vision and reading/close-up work; frequent color perception and use of eye/hand coordination; occasional use of depth perception and peripheral vision; Hearing/Talking-Frequent hearing of normal speech, hearing/talking on the telephone, talking in person; Emotional/Psychological-Decision making; concentration; occasional exposure to trauma, grief and death; Special Requirements-Some assignments may require working weekends, nights, and/or occasional overtime; Environmental-Occasional exposure to varied weather conditions. Dental Insurance: The County provides employees with a choice of two dental plans: Delta Dental and Pacific Union Dental. There is no cost for employee only coverage in either plan; dependent coverage is available at the employee’s expense.  For more detailed information on the County’s benefits program, visit our website at www.sjgov.org under Human Resources/Benefits. 125 Flexible Benefits Plan: This is a voluntary program that allows employees to use pre-tax dollars to pay for health-related expenses that are not paid by a medical, dental or vision plan (Health Flexible Spending Account $2080 annual limit); and dependent care costs (Dependent Care Assistance Plan $5000 annual limit). Deferred Compensation: The county maintains a deferred compensation plan under Section 457 of the IRS code. You may annually contribute $17,500 or 100% of your includible compensation, whichever is less. Individuals age 50 or older may contribute to their plan, up to $23,000. Holiday: For current Civil Service employees: 14 paid holidays per year. For new employees: 10 paid holidays per year.